Whether you are a family, a group of friends, a solo traveller, a business client, an incentive travel company, a travel agent or even a family looking for a more children-friendly private tour, if you love Art Nouveau, we are your best choice. 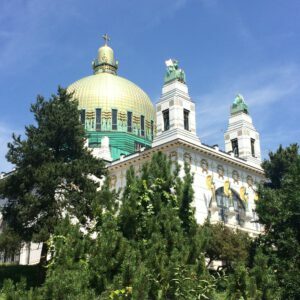 We help Art Nouveau lovers to discover and enjoy the most interesting European Art Nouveau cities in a unique and exclusive way by offering them the best thematic half and full day private tours available and keeping them updated with our Agenda news and articles. All in a single website. We aim to make people happier by discovering Art Nouveau in a professional and personal way when they travel. We want to become the web-to-go also for the people interested in the Belle Époque. We will continue working to nourish your imagination and make you feel closer to this 1890-1914 art movement known for its crazy colors, playful geometry and frank sensuality. Our core value is to make Art Nouveau heritage known to wider audiences by explaining the Local Context in which it developed, thus History, Economics, Culture, Politics and Aesthetics become key to our philosophy. Our Local City Partners, tour guides, museums and Institutions) are key for the definition of Services on offer. We love Art Nouveau and respect the environments where it developed. A great guide makes the trip. A bad one ruins it. Make your trip unforgettable by booking with us. The best choice for small (and very small) groups. Our local guides are experts on Art Nouveau and also about the philosophy behind this art movement. They are both specialized and in love with it and will adapt the itinerary according to your interests, helping you will enjoy and discover a city in a relaxed way. We don’t work with audio-guides. We offer the best tours for anyone who wants to grasp an understanding of the Art Nouveau architecture and design, looks for historical and cultural insights or simply loves this art style and wants to discover or re-discover an Art Nouveau city in a personalized way. They are not General City Tours, Gourmet Tours, Old City Tours, Castle Tours, Sport Tours, War Tours, Countryside Tours, Nature Tours, Historical Tours, … they are Art Nouveau thematic tours. Our experiences often include hidden Jugendstil gems. A Century ago City tours were a novelty, 30 years ago Architecture city tours became popular, and just recently thematic contextual city tours like ours are the new way to travel. Our tours are not just about sightseeing, they are a unique experience of meeting, learning, discovering and understanding different cultures and returning back home richer than when the journey started. Our customers tell us that with the arrival of internet they appreciate a lack of profes sional tour guides. They say that more and more tours (especially City tours) are free and made by people that are not certified. World is changing but our Art Nouveau private tours for small groups, conducted by licensed guides, have excellent satisfaction rates amongst clients and we encourage you to book them. We believe that visiting an Art Nouveau city accompanied by a storyteller guide who loves Art Nouveau makes a trip memorable. We also offer customized experiences. To make the most of your time in an Art Nouveau destination book your Private City Tour with us and get inspired! Art Nouveau is a 1890-1910 art style that had a special presence in cities that were experimenting an economic growth. That’s why most of the tours are city tours, only some go to villages and just a few visit places in the countryside. 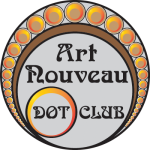 We keep you updated with information about events and exhibitions related to Art Nouveau because we want you to fully enjoy your trips. Get informed about the new exhibitions, seminars, conferences. If you are organizing an event, let us know, as a result we’ll give it more circulation. In addition to provide your enterprise with personalized thematic tours (for clients, employees, clients,…), we also organize the most exclusive events in unique Art Nouveau venues in Barcelona, Vienna, Paris or any Art Nouveau city. Still haven’t found your perfect gift for your next convention? Do you need a very special present for VIP’s? Let us be part of your success. We will take care to deliver your giveaways ‘just in time’ in any part of the world. Let’s Contact! All Art Nouveau, only Art Nouveau! At the bottom of the page you will find a Recommended Links area to allow you go more in-depth. Art Nouveau has different names in different nations: Sezession in Austria, Secession or Secese in Hungary and the Czech Republic, Glasgow Style in Scotland, Stile Floreale or Liberty in Italy, Jugendstil in Germany, Latvia and Norway, Secesia in Slovakia, Modernisme in Catalonia, Modernismo in Spain and South America, Modern in Russia, Arte Nova in Portugal, Tiffany Style in the US and England, Niewe Kunst in Holland, to say some. Plenty of names for an Art style that changed the world at the turn of the 19th into the 20th Centuries. Be inspired by the pre-war Art Nouveau Heritage!